I’ve learned from watching the NBA for most of my life that Pat Riley 1) has sold his soul to the devil in exchange for incredible NBA luck and foresight and 2) the Miami Heat always figure out a way to be competitive. They always to. 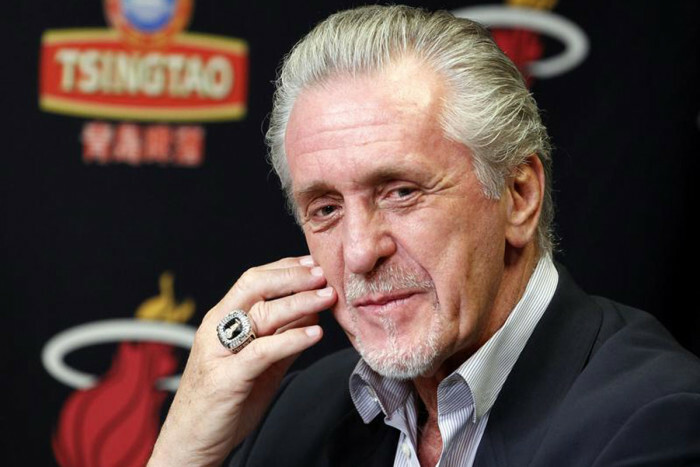 Pat Riley’s black magic may or may not have something to do with that. Last year was a fluke, they were blindsided by LeBron’s departure and were plagued by injury for the entire year. Pat Riley figured it out, though. He exploited Ryan McDonough’s miserable leadership in the Goran Dragic case in Phoenix and trade for him for next to nothing, lucked out in the draft and picked Justise Winslow and got his players back from the Injury Gods. The Miami Heat are going to be a force in the miserable Eastern Conference and we’re going to have to deal with it. It’s Pat Riley’s world and we just happen to live in it. If the Heat ends up playing Cleveland in the playoffs, don’t be surprised if they push the series to 7 and manage to take out one of their key players. Because Pat Riley.